The drivers claimed that “packing for shipment” and “distribution” were not two separate exemptions because there wasn’t a comma included before “or”. This meant that distribution on its own was not an exception to the law and merited overtime pay. The ambiguity that resulted by omitting the Oxford comma caused the judge to rule in favor of the drivers. What Exactly is the Oxford Comma? If a single comma can cost a company millions of dollars, the Oxford comma debate must be a big deal. 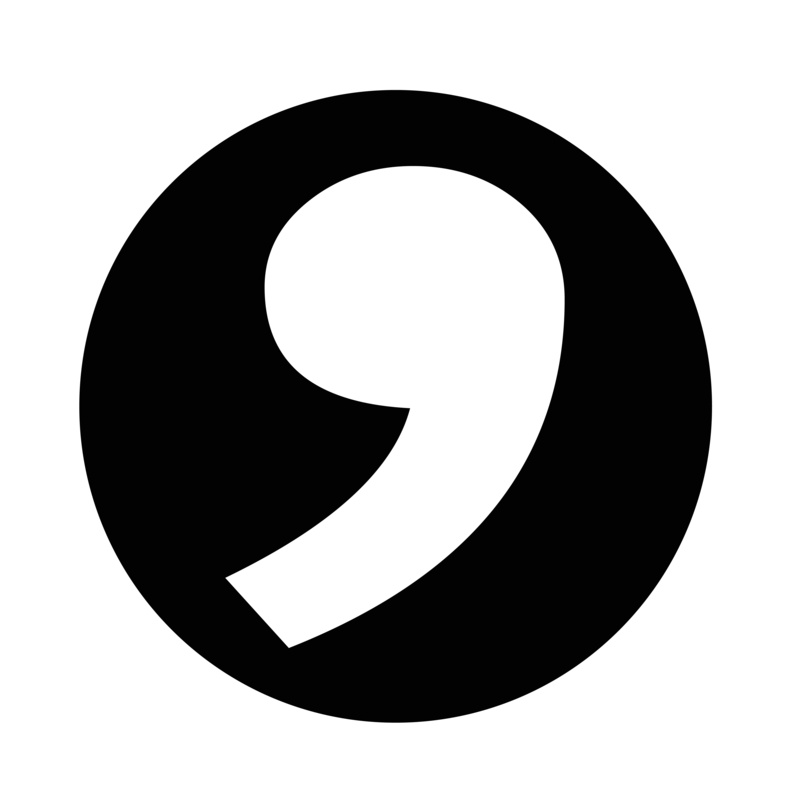 Also known as the serial comma, the Oxford comma is a piece of punctuation placed just before a coordinating conjunction in a list of three or more items. There is little consistency to its use and it continues to spark controversy in the world of writing. Many American-style guides such as The Chicago Manual of Style advocate for the use of the comma, but the Associated Press Stylebook is one of the most noteworthy exceptions. Several publications only use it when it’s necessary to avoid confusion, and most foreign languages leave it out of their writing entirely. The absence of the Oxford comma in this example literally changes the meaning of the sentence. Without the comma, it could be wrongly assumed that the director’s parents are Jeff Goldblum and God. Placing the comma before “and” separates the two nouns and helps to avoid any misconception of meaning. Another argument in favor of the Oxford comma is that it better mimics the cadence of a spoken sentence. Adding an extra comma before a conjunction represents the pause you would take while speaking, and many people would argue that it makes the meaning of a sentence more clear. Like the example above, failing to pause at the end of could make the listener believe that the final two items in the list are combined. The Associated Press, along with many journalists, are against the Oxford comma being a grammatical requirement. Opponents of the comma believe that it can make a piece of writing seem cluttered and even pretentious. A lot of these people think that including a conjunction is sufficient enough, and some would even say that including the extra comma belittles readers because the author assumes they have difficulty understanding longer sentences. Publishers also frown upon its use because it has the potential to take up page space, something that is incredibly crucial to conserve. In the example above, some would argue that the sentence is clear enough without the extra comma. Whatever your stance is in the Oxford comma debate, remember to remain consistent in your writing. Only using the comma periodically could cause even more ambiguity and make your writing seem unprofessional. The comma is not yet a universal requirement, so pick a side and stick to it! Where do you stand in the Oxford comma debate? Share your opinion with us in the comment section below! Stay up-to-date with the latest online marketing trends in our blog. Tips for Writer’s Block | 5 Ways to Coax Creativity! .So there you sit — staring at a glowing screen, a blank word document stealing the oxygen out of the room. You have just a thousand more words before the end of the day and it’s already an hour to closing time. Maybe the week got away from you or the ideas just haven’t leapt to the page as usual. Whatever the case, writer’s block is something that can be as enigmatic as it is obvious to cure! 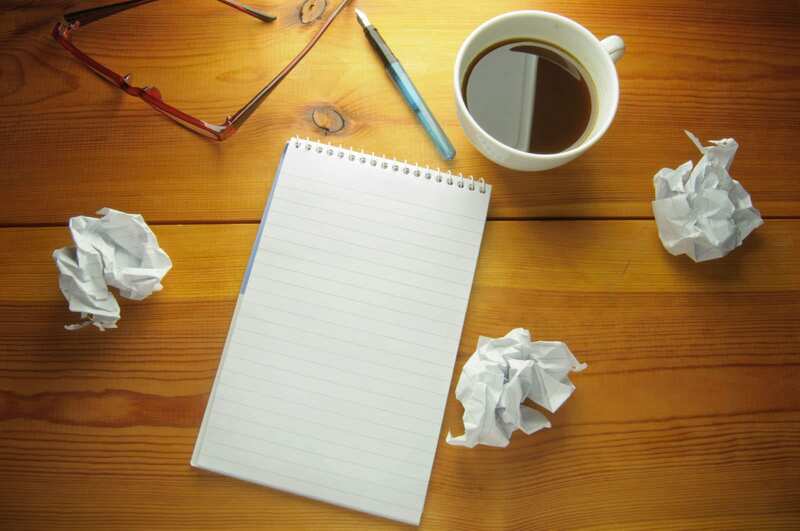 Here are a five tips for writer’s block! Whether you’re in marketing, journalism, or you just write for fun, we all have those moments (or maybe many excruciating series of moments) when capturing the right words and ideas is as easy as holding the smoke in your hands. It doesn’t help when there are a series of other assignments ready to present a similar struggle. Writer’s block is never fun…Or maybe it is? Sure, you’re not going to want this to transfer into the ultimate execution of your work. However, sometimes it helps to simply write the first thing that comes to mind. It may not (and will likely not) be related to the serious topic you’ve been tasked to cover, but it may unfurl your subconscious mind enough to expose your real ideas. Words are hard, but nonsense is simple! 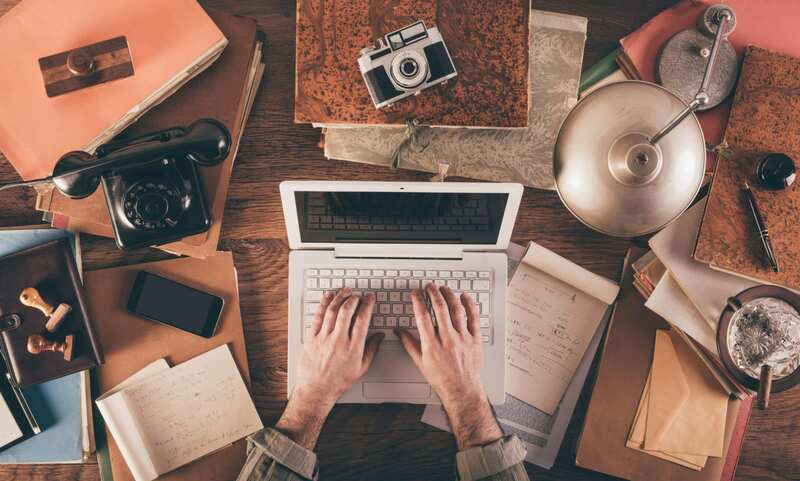 Whether it’s just a matter of clearing away unwanted mental baggage or generating a false sense of accomplishment, writing nonsense is something that can be a quick solution to shifting your thoughts into the right gear. While I can see this working for the more nebulously minded of us, maybe you’re the type of person who just goes deeper into the self-doubt writer’s block produces. Sometimes it just takes a bit of physical movement to redistribute the blood and really get those mental facilities up and running. If you have the ability, go for a brief walk, run, or do some light cardiovascular exercise to convince your body that things are different now and the masterpiece can ensue. Believe me, staring forcefully into your computer monitor until words appear is rarely the best way to produce something you’ll be happy with. You may want to just get a little sunlight and breathe deeply into the void of existence before sitting down to write your problematic piece of work. Hopefully, that’s enough to let you reach the fruit of your creativity-orchard, but if not you may need a more directed approach. Getting up and moving is one of the most important tips for writer’s block, as it also will help with your overall wellness. If you’re inspired by music, find something you’ve never heard before. Into the visual arts? Go glimpse interesting imagery just until the point where your mind’s eye is ready to see those words hitting the page! The point is this — find something to help you break out of your regular thought-patterns and stir up new ideas. Writer’s block may feel like you’re turning to stone at the bottom of the ocean, but if it never left anyone then humanity would have exhausted just about every great thought available. So far so good! While it’s important not to waste time being a whimsical dandy just floating about, finding things you wouldn’t normally draw inspiration from can inform what you’d like to create, in addition to what you’ll want to avoid. The answers are out there, regardless of how elusive they are at this very moment. More or less, just take to mediums which aren’t your usual cup of tea and swallow them whole or smash the mug entirely — whichever is a more applicable metaphor. 4. What Would You Want to Read? So up until this point, my advice has probably been pretty subjective. Perhaps you’re looking for that actionable, completely obvious way to destroy your writer’s block the “just say it already” takeaway point. And really that’s just it! Write exactly what it is you’d like to read yourself. 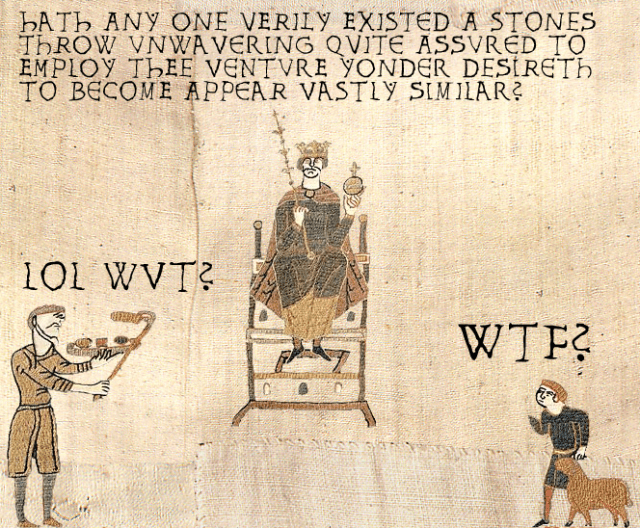 Some people take entirely boring subjects, and through some alchemical wizardry, produce a relatively engaging piece because they’re genuinely interested in the content. You are your most critical audience member, and simultaneously the performer! This can also translate to the fact that sometimes you’ll need a jump start on figuring out the exact content you’ll be writing. For this, I’d essentially recommend finding similar pieces and writing your own take on the matter, taking care not to lift anything directly. Plagiarism is still alive and well in our digital age! Think about who your ideal reader is and write for them. The worst case scenario is that you write too narrowly, but that’s fine if it gets the job done! 5. Time is Your Friend! The most difficult part for many with writer’s block is taking that first step into the unknown. You know, that swirling semantic tornado of uncertainty devouring the trailer parks and open prairies of your mind until inspiration is pulled from the rubble! Hopefully, this blog gave you your mental vacation needed to erupt with that next great piece of content! If not, you’re on your own — but I’m glad I temporarily convinced you otherwise! I hope you enjoyed these tips for writer’s block! Debunking 5 Common Blogging Myths! In the digital marketing world, we write A LOT of blogs. In fact, here at Track5Media, you could probably argue that we spend the majority of our time each week on blogs. 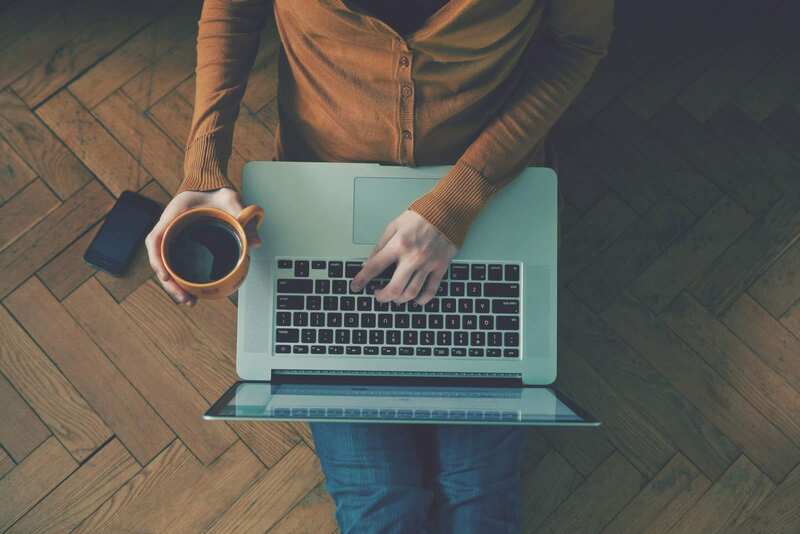 There’s a lot more to blogging than the average person may realize, so we thought it’d be a good idea to debunk some of the most common blogging myths that we’ve heard over the years. Keep reading! I hear this all the time. When I tell somebody that I write blogs at work, they usually assume that it’s a piece of cake. Not quite. There’s much more to blogging than just writing a short article. As a matter of fact, simply coming up with a topic or title is hard enough. There’s a ton of topic generation and keyword research that goes behind choosing a blog topic. So, no, we can’t just write about “anything.” Not only is writing a blog tricky, but it’s difficult to come up with new and unique ways to promote the content. If blogging was easy, everyone would be doing it! 2. If you can’t write, you can’t blog. “I would like to try blogging, but I’m not much of a writer…” Have you heard this before? Many people assume that only skilled writers can produce worthwhile blog content, but this is not the case. For example, there are some blogs that include little to no writing at all! Some bloggers tell their stories with pictures, videos, or drawings. 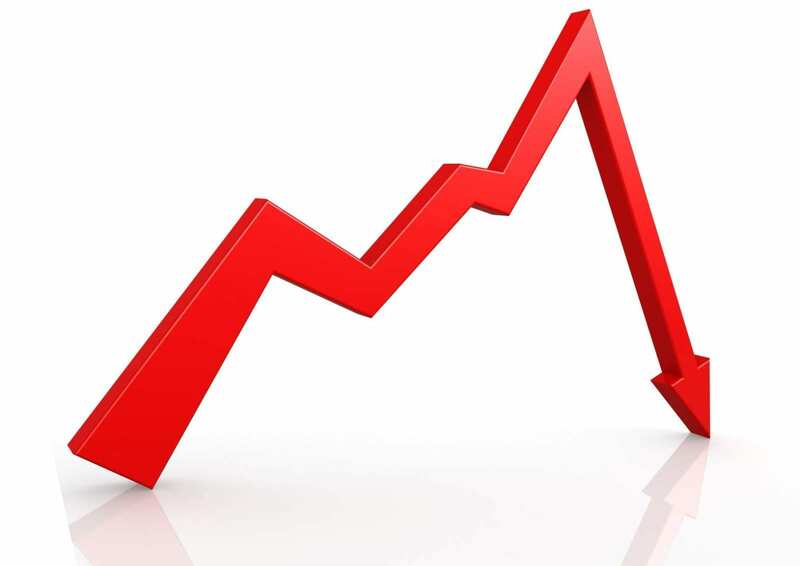 Additionally, most bloggers grow and develop over time. It’s not like every blogger started out as an avid writer or an author! On the other hand, not all good writers will be good bloggers! Blog writing has its own style and techniques, and even the most advanced writers can struggle to write a blog! Writing a blog post itself is only a fraction of the blogging process. One of the most common blogging myths is that once you have a blog in place with a few posts, you’ll gain traffic. In reality, that’s when your work really starts. Like we said above, there are a whole bunch of content promotion and distribution strategies that come after writing that initial blog post. But it doesn’t end there! In marketing, we have to learn a lot about interpreting our blogs’ analytics, which is a monster in and of itself. 4. Blogging is just a fad. Many people assume that blogging is simply a fad that will phase out over time, like disco music or bell-bottom jeans. Actually, blogging has been around for years, and it has a ton to do with a business’s success. Similarly, some argue that blogging is dead or dying because there is just too much content online, and it’s growing much faster than people can actually consume it. However, this doesn’t necessarily mean that blogging is “dead.” It may mean that there’s a smaller number of successful blogs, but there are still plenty of people to consume and enjoy the content. 5. People only read listicles. 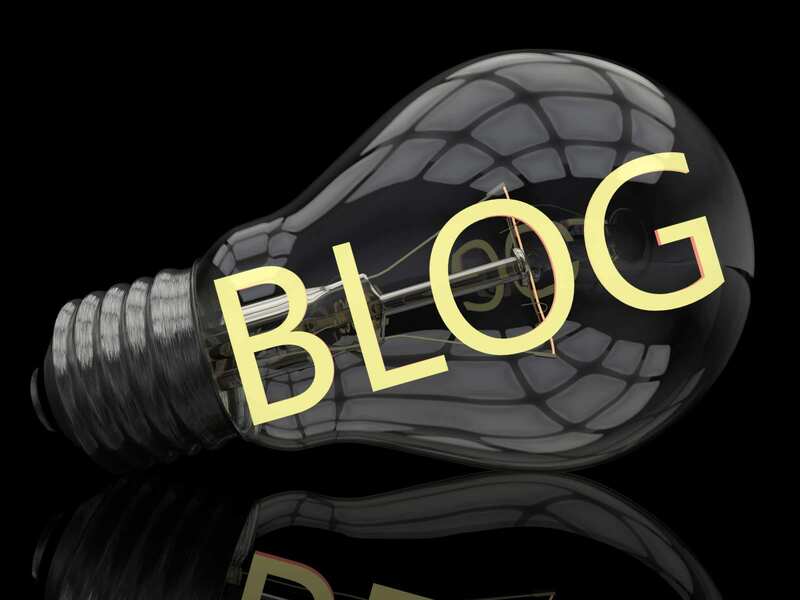 Another popular blogging myth is that the only type of blog that performs well is listicles. What’s a listicle? Well, this blog is one. It’s a piece of content that’s presented in the form of a list. Think BuzzFeed articles, like “10 Crazy Things You Secretly Do in Private” or something like that. While this type of blog is popular and easy to read, it’s not the only show in town. Blogs can take the form of interviews, podcasts, editorials…you name it! Alright bloggers, what are some other blogging myths that you’ve heard floating around? Share them with us in the comments below! Track5Media is hiring! Browse open positions here! Do you ever find yourself using extra words in a blog just to get to your word count? Lately, I’ve been thinking a lot about the content we create and what exactly makes it valuable. It seems like as marketers, we throw these arbitrary numbers out there – all blogs should be at least 500 words or Google likes content that’s closer to 1,000 words or briefer blogs are better because people have shorter attention spans these days. But what about… write until you’ve made your point and then stop? Stop creating content just to create content. 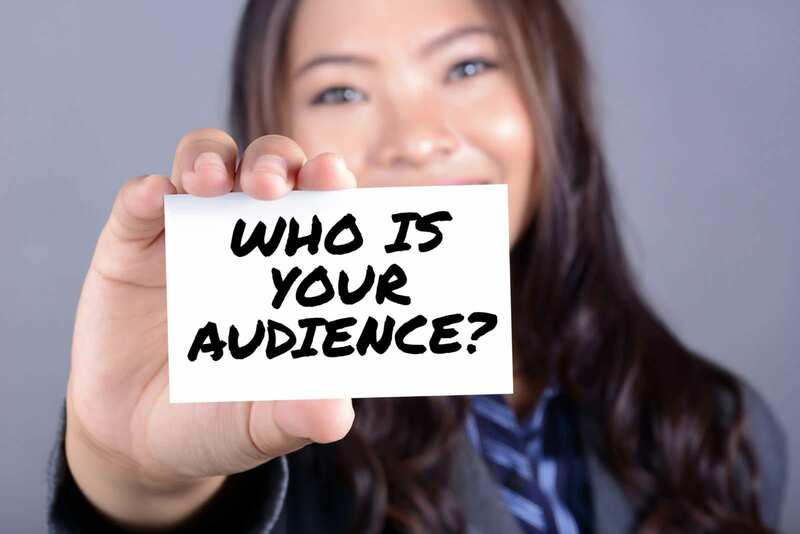 In order to stop creating content just to create content, first, consider who your audience is. Once you have a topic selected, how much background do you need to include for your readers? Do they prefer technical writing or a fluffier piece? What questions do they have, and how do you plan to answer them in your content? With your audience in mind, you can better decide what information to include, what to cut and how to construct your copy. Next, you need to ask yourself what is the purpose of your content? 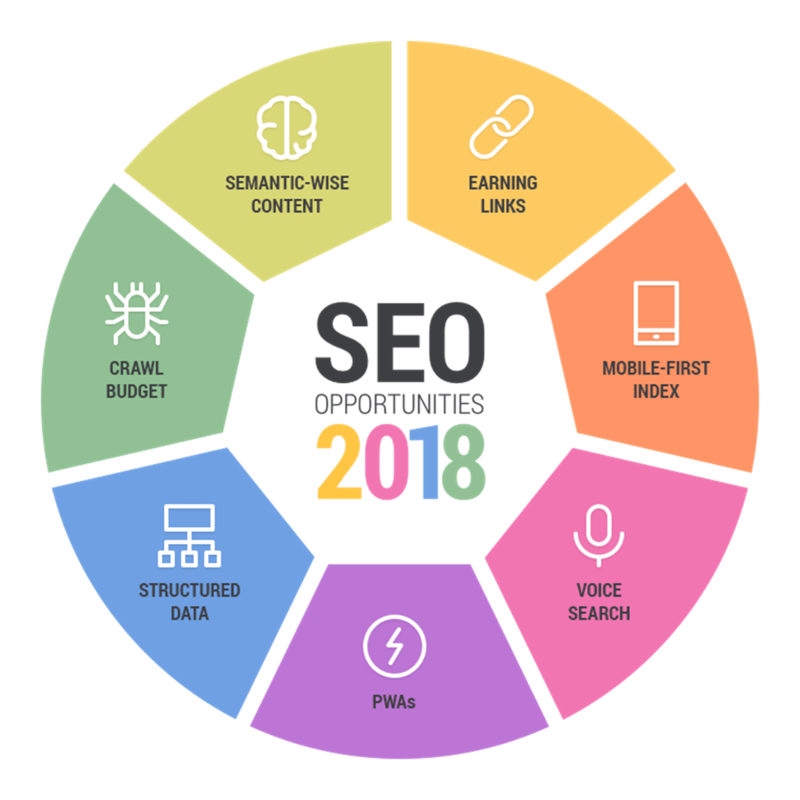 Although you know the basics – to write SEO content for your website that Google can crawl but that also engages readers – what else are you trying to accomplish? Are you trying to get your audience to perform an action once they read your content? If you put yourself in their shoes, what could you say to compel them to do what you want them to? Did you get your point across? I know I need to stop creating content just to create content, and so do you. If you can justify a shorter or longer piece than what you are required, be confident in that decision and just go with it. Even if your manager disagrees, chances are, your readers will thank you. The last question I think is critical – is your copy compelling? 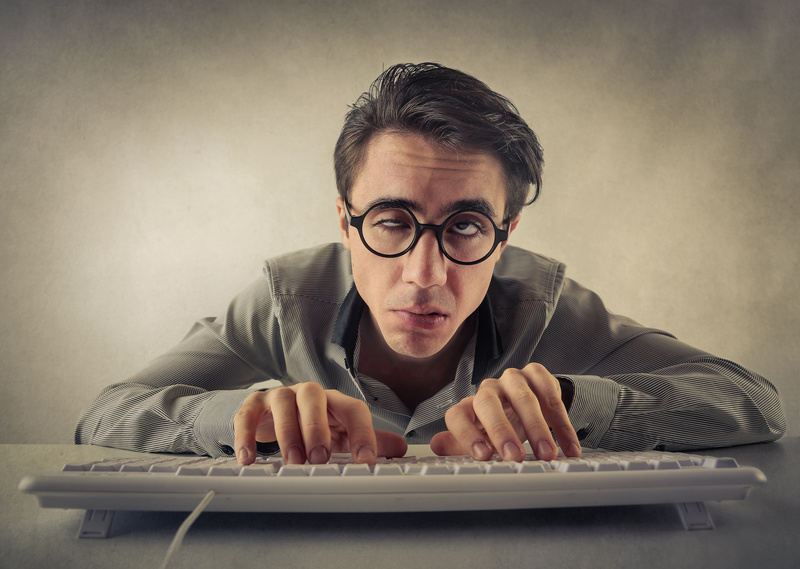 Or another way to word this… is your content boring? If you were bored writing it, chances are people won’t want to read it. Not only do you have to get your point across and include a call-to-action, you also need to be creative. Don’t be the person who has a catchy headline and then puts people to sleep with a boring, long blog that basically says, “I’m writing this so that I get paid.” How can you engage your reader as much as possible every step of the way? In a previous life, before I entered the colorful world of marketing, I was a journalist. Perhaps it is that old-school journalism training that has me brainwashed into thinking you should get your point across as fast and creatively as possible. Or maybe that’s just fake news. Either way, I hope I gave all you fellow marketers out there something to think about next time you sit down to write. With that said, I’m going to stop creating content just to create content now. You’re welcome. Let’s face it. When you are pumping out content all day every day for websites and blogs, sometimes you get off track. Sure, you’re still creating decent content, but it could probably be better. For example, did you slack a bit when researching your keyword? Or did you go back and add a little extra fluff just to hit your word count, instead of adding another paragraph based on research? 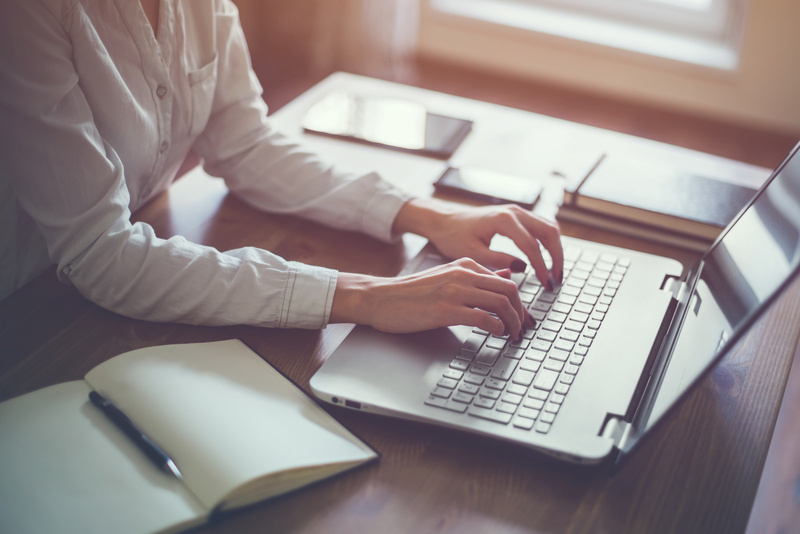 As a blog writer, it is important to pause sometimes and take a little refresher course on the basics of blog writing tips to get yourself back on track. This week at Track5Media, the marketing team did just that. We took about an hour to sit down together and review basic blog writing tips and best practices for selecting SEO keywords. Although it’s stuff we’ve heard a thousand times, it always helps to hear it again and again. Here are the three biggest take-a-ways from our marketing meeting this week! Of course, you want to write creative content that people are going to click on. 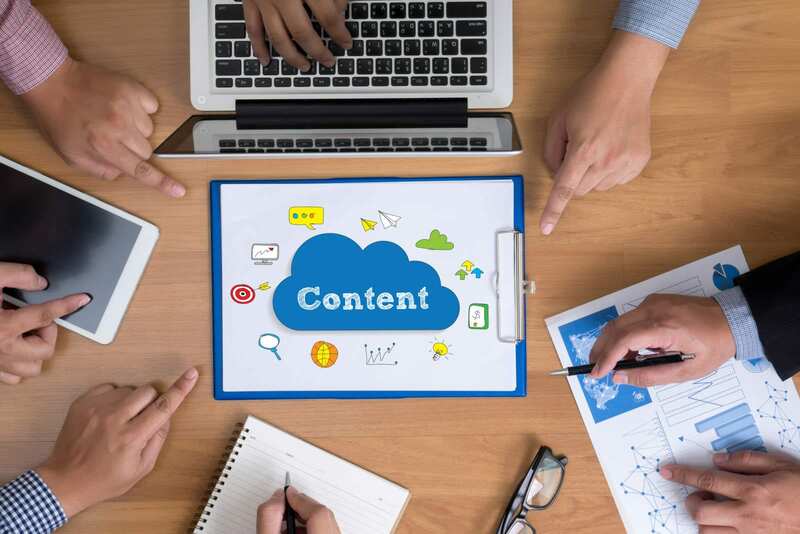 Yet, the content can’t only be catchy and interesting – it also has to compel people to click further into your site and hopefully convince them to buy into your brand. 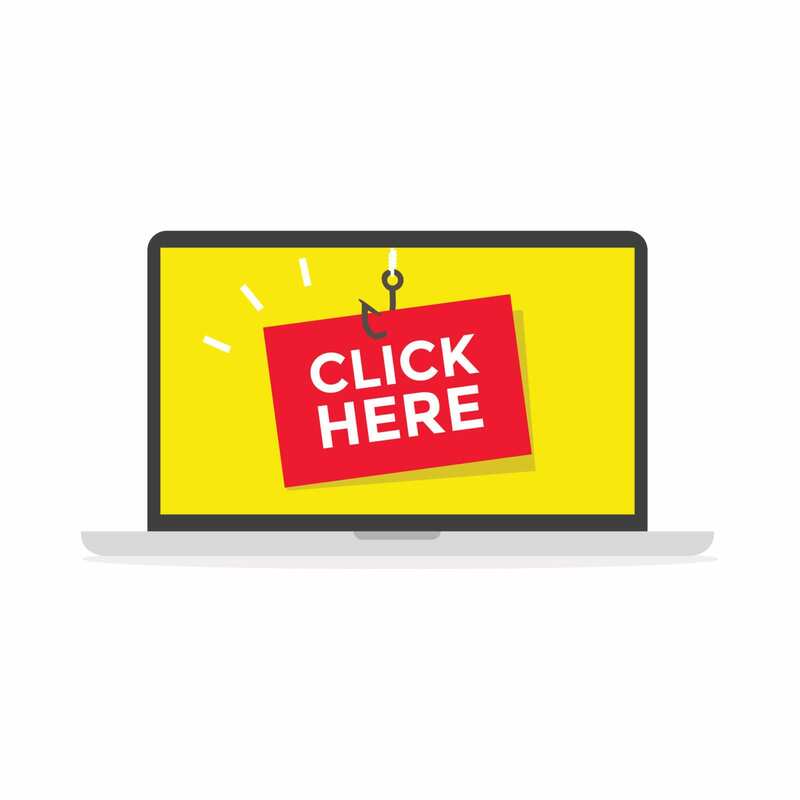 For example, consumers might see an article with a title that convinces them to click on it, but if the content isn’t as interesting as the title suggests, the reader is lost. They will likely click right back out of the website, instead of remaining there and reading further. The trick is finding topics that are fascinating, targeted to your specific audience and have enough substance to convert clicks into sales. This is one of the most important blog writing tips, but often the hardest goal to reach every single time. Keyword research. This is the one tip that resonated with me the most. 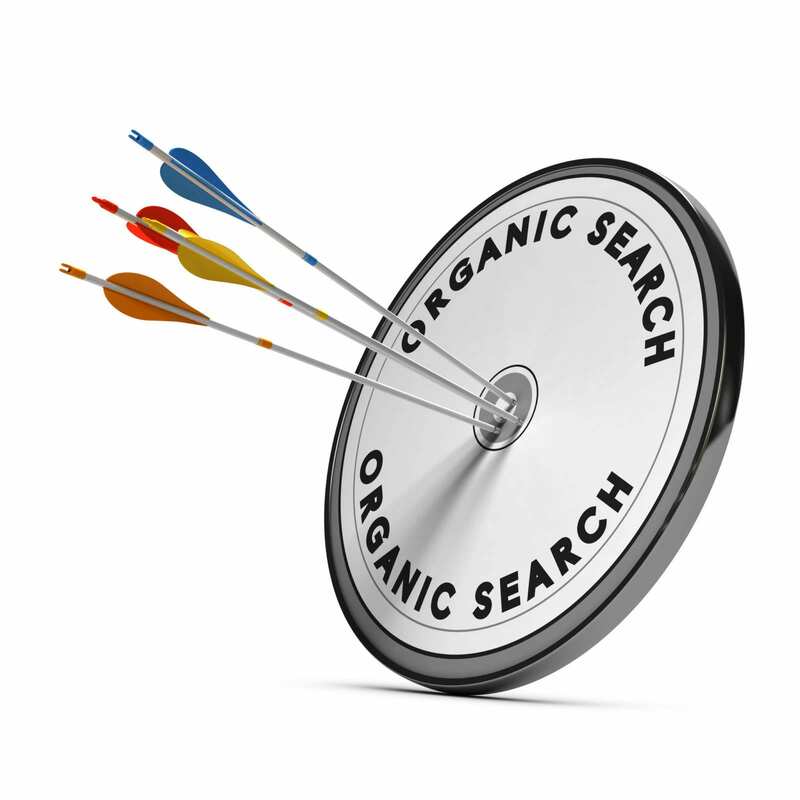 When you are picking a keyword for your blog, it is not enough to find a keyword that’s being searched often. You also have to think about who is searching for it and why? What is their end goal when they type that keyword into the search engine? Will your blog post answer their question, and most importantly, is the keyword targeting your specific audience? Sometimes we come up with great topic ideas. We find a keyword related to our topic without considering that it might be attracting many people to our page who will not convert to customers. The audience. This brings us to number three of the blog writing tips we reviewed this week. The audience is really the first thing you should consider before you decide on a topic; before you select a keyword. Who are you writing for, and what are you trying to tell them? At Track5Media, we have six brands to market for. Our audience varies between all of our brands, from healthcare professionals like registered nurses and physicians to truck drivers. Our newest brand, Senior Caring, is a brand targeting elderly people and their caretakers. The goal with all of our brands is to connect the audience to a service, such as connecting them to an independent living community or a nursing home to care for them. Thinking about each individual audience, the questions they might have, and the topics they care about is key to creating great content. 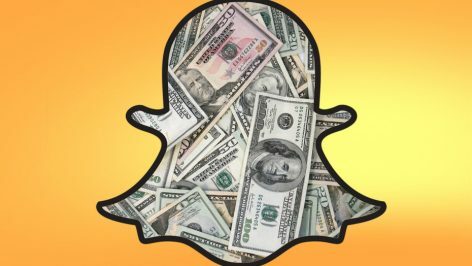 Last week it was reported by media outlet The Ringer that the social media app Snapchat was actually taking content for their “filters” from other artists without permission. The article cites Argenis Pinal, who, like most of us, went to add an interesting filter to his selfie. You know, the dog-ears and tongue that have every college-aged girl invading social media with dogged selfies. The filter in question was that of the DC Comic villain The Joker. Pinal went to instagram to show an eerily similar filter that snapchat had unveiled. 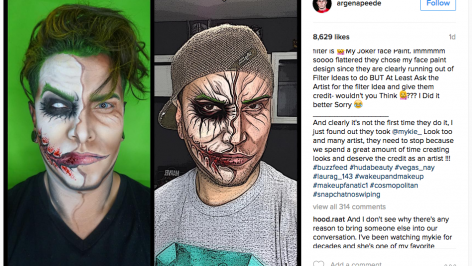 The article goes on to highlight a few other times that Snapchat’s filters have looked eerily similar to other artists’ work. So what can we take away from Snapchat’s possible mistake? Will there be consequences? Does this happen often? And, how we prevent our own company or social media campaign from plagiarism? Okay, no harm no foul, Snapchat fessed up and everything is back to normal, right? Well, not exactly. 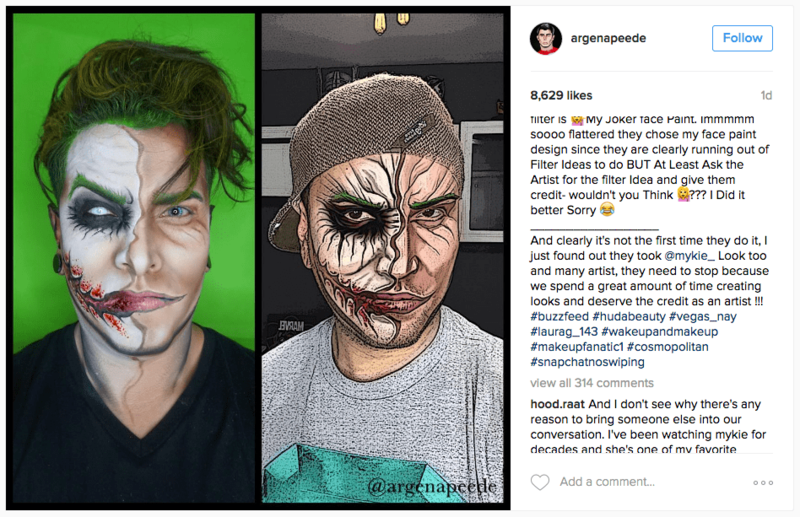 Angela Perez, a freelancer for Snapchat’s design team eventually told The Ringer that she was “encouraged to trace sample images from famous YouTubers.” Yes, you read that correctly, they were encouraged to use content created by someone else, without asking for permission. While Perez was not explicitly told to steal content from other artists, it can be interpreted that that’s what Snapchat’s design team has been doing. One of the biggest social media apps has now been accused (pretty much caught) using content from other artists without their permission. We can expect them to be fined, persecuted, and maybe have their ghost emoji locked up behind bars, right? Well, most likely not. When it comes down to it, it’s just too hard to prove the theft of an artistic concept, especially when that concept is shared via social media. The Ghostface Chillah will continue to own the selfie game, and we can expect filters to churn out on a regular basis. 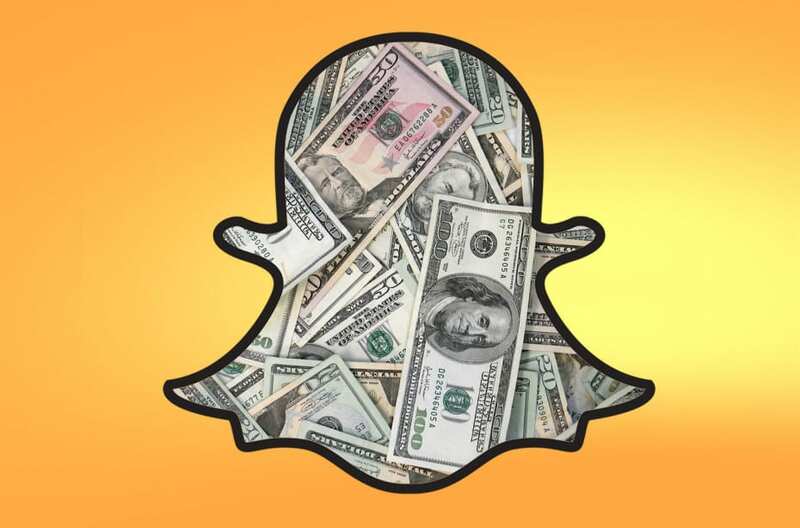 There are, however, a few things we can learn from Snapchat’s sticky situation. To be successful in marketing via social media, it’s important to have credibility. Creating original content that will drive viewers toward your site will grow a loyal following. Anyone can post on social media or host a website and use previously created content. Carving out a niche with original ideas will build a credibility that can turn your campaign into a legitimate entity. We won’t know for sure whether or not Snapchat’s higher-ups were aware of what was going on, but it’s important to communicate with everyone in your company. You’re responsible for overseeing every aspect of the company, so communication is key. If you’re not the boss, make sure to communicate with your superiors if you’re unsure about an ethical decision. Track5Takes: Will We Work Less or More in the Future? This is the first installment of a series we’d like to call Track5Takes. Throughout the week, we come across a variety of interesting subjects dealing with marketing, social media, and technology among other things. Our staff often discusses these articles or videos, with each of us forming our own opinions. We’d like to not only inform you about what’s going on in the web-marketing and technological world, but we want to show a little personality by giving our own “takes” on various issues. The first issue we decided to look at was “Will we work less or more in the future?” After recently stumbling across a Forbes article by David Carr that discussed the future and just how it would change our working habits. Our staff had a variety of unique opinions on the matter. Connor Smith, Marketing Specialist – When you think about it, having computers take over our menial tasks is essentially the reason we started building them in the first place. I mean who really wanted to sit at a typewriter for hours, just to hit a few wrong keys and have to throw out the entire copy? I, for one, welcome the AI-utopia promised to us by futurists like Ray Kurzweil – unless such a technology interprets mankind as the greatest danger unto itself, thereby “protecting” us with total extinction. Bummer. So maybe we’ll be working more, but I think it’s likely we’ll be more focused on tasks that only humans can perform (at least for the time being). But whether or not we’ll be happier about this is the real question – and just who is this “we” expected to benefit from such technological advancements? I can’t help but wonder how technology will affect blue-collar jobs and the traditional “backbone” of the American economy. Maybe we’ll just have more robotic construction vehicles or completely automated factories (if they’re not already outsourced), but what then? It seems that this whole “work more passionately” concept is geared toward those lofty jobs where a work/life balance is seen more as a condition for employment rather than a luxury. If anything, I might be concerned that more automation in the office would lead to higher demands for expert workers at a lesser volume. Why pay someone to file expense reports when you can do so at the press of the button? At the same time, I can see how a company might reach greater heights simply because they aren’t focusing on distracting, passion-leeching tasks. 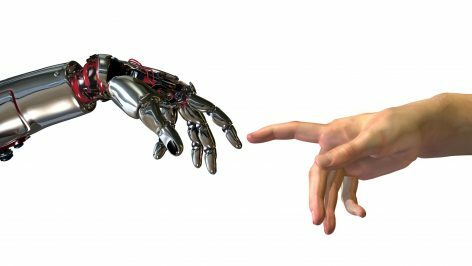 Honestly though, it’s hard to believe that certain industries will ever opt for a robotic creative director or CEO – these streamlining technologies may just allow people to focus more on the meat of a respective business. That being said, I don’t think it’s too far out to conceive of electing one AI platform over another in 2052’s presidential election. Troy Diffenderfer, Marketing Intern – I thought long and hard about this one, and I decided to look at it from two different angles. First, I looked at it from the hardworking, eager beaver, looking to maximize efficiency to complete as many tasks as possible. Then, I looked at myself. Sadly, throughout my school years I was adept in the fine art of procrastination and cutting corners. Some throw around those vulgar words like “lazy” and “minimalist,” while I counter with words like “efficient” and “ingenious.” To each there own I suppose. I believe initially we will in fact, work not only less, but more efficiently as well. With technology rapidly growing, more and more menial tasks will be taken care for us. Self-driving cars will populate highways, drones will deliver food and mail at the touch of a button, and many blue-collar jobs will cease to exist. I also think many companies, especially tech and marketing companies, will opt to have many employees work from home. With increasing communication technology, estimates suggest that almost half of all professionals have a job that they can do from home. Not only will this cut down on expenses for the company, employee morale will rise as they spend more time with their family. I think it’s the Internet, and networking, not robotics, that will allow us to work less and more efficient. Whether or not we use that spare time to become productive, I’m not sure. “We will be working more for ourselves – working on things we are passionate about,” said Kate Kendall, CEO and founder of CloudPeeps. I guess it really depends on the passion. Hopefully, these passion projects will produce even better technology that will help us work smarter, not harder. Ekom Enyong, Marketing Specialist – The future of work depends on the definition of work. I predict that the way we work will drastically change; meaning the definition of work will have to change too. Work will not continue to be this nine to five model. The two largest factors that will determine the future of work will be technological advances and the work-life balance. Developers will continue to create software that makes getting through the workday easier. I think that companies continuing to use dated technologies and inefficient processes will see their top talent leave for competitors or other industries. In the marketing, communications, and tech industries, in the future, I would expect to see businesses start to follow one of two organization models: e-lancing and live-in work. There are companies that currently operate like each of these models, but I think we will see many more companies follow suit. Technological innovations will spur growth of the e-lance model. New software will lead to more efficient workdays and the elimination of administrative task and some entire positions. I imagine receptionists being replaced by kiosks (see iPad Receptionist app). The most skilled workers will still be able to find work. E-lance companies will operate with a small “core” group of salaried employees, but for the most part, will hire contract workers that will live elsewhere and will rarely, if ever, see company headquarters. 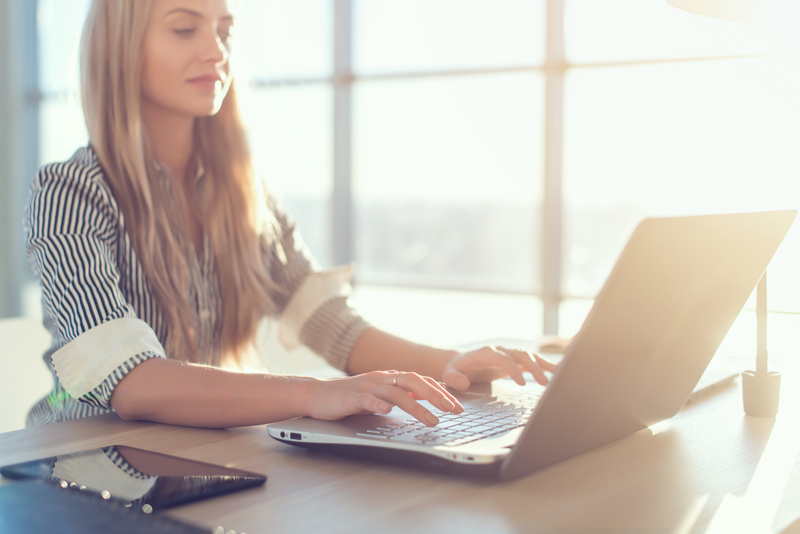 For employers and employees who are unable to separate their work from home life, a live-in work model will emerge. These companies will provide many onsite amenities for their employers. These may include cafeterias, child day care, health clinics, maybe a grocery store and of course recreational activities. Employers that choose this method will fully value the benefits that come with creating a sense of community with your employees. In terms of hours or days, I don’t think that we will work more, but the technological innovations will help employees to get more done in a day and work more efficiently. Perhaps we will work more, but it will feel like less. I think people will be happier working because they will have the choice of how to work as an individual contributor, or as part of a collaborative team. 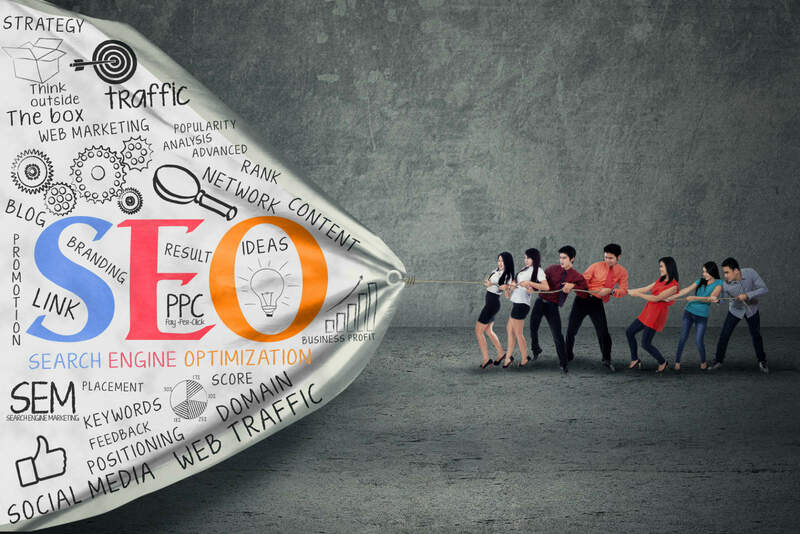 Most marketers know the benefits of successful search engine optimization strategies, but every now and then, you’ll come across an individual that that claims “SEO is dead”. While not dead, staying up to date with the newest ways to build website rankings can be a difficult feat. Nonetheless, those that claim that this process is dead are probably referring to the old, spammy, and essentially aggressive SEO strategies. These strategies are called Black Hat SEO. Back in the day (like five or so years ago), what we now refer to as black hat SEO was the quickest and easiest way to boost your website rankings. 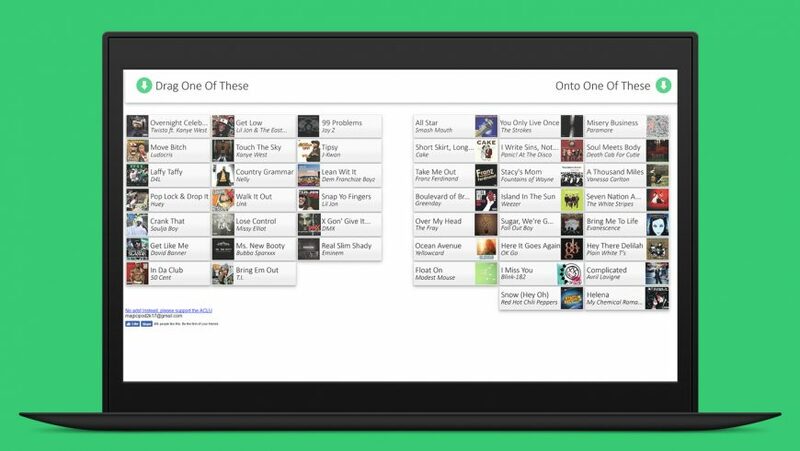 In 2012, Google threw everyone through a loop and starting penalizing a lot of websites that were using these strategies. Shockingly enough, many people are still using some of them today. Spam Comments: Do you ever drop your link into the comment section of blogs, news articles or anything else with an area for comments? Key Word Overload: We understand that you’re trying to rank for a specific word or words, but throwing that word into every sentence multiple times looks and sounds incredibly awkward. Bulk Directory Linking: Submitting your site to hundreds of irrelevant link directories, and depending on the directory, your website rankings can be negatively affected. Exact Match Domain: While this doesn’t negatively impact your website’s rankings, it’s really no longer deemed important that your key word is located in your site’s domain name. Invisible Key Words: Let’s say your website background is white, so you throw your key word up there hundreds of times in white, so that Google sees it, but those visiting your website don’t. Google was not happy about this one, and penalized most sites that were using this practice. Link Networks: This is a domain or multiple domains and their only purpose is to provide a different domain with backlinks. These are typically owned by the same individual or company. Buying Links: Some sites will offer to provide links for an amount of money, but this is pretty risky business. More often than not, these are sketchy sites that will actually hurt your SEO. Use of Irrelevant Key Words: Don’t publish irrelevant content on your site. If you’re trying to rank for words like “hotels”, don’t be post things that don’t have anything to do with hotels or the hospitality industry. Cloaking: This is presenting the website user with completely different content that is shown to the search engines that are crawling the site, and is considered a “deceptive SEO strategy”. So when, Google caught on, most of us became aware that these strategies could be the death of our website rankings. But, if you’ve been in a cave the past four years, and are still posting invisible key words all over your site, please STOP – your website rankings will thank you.